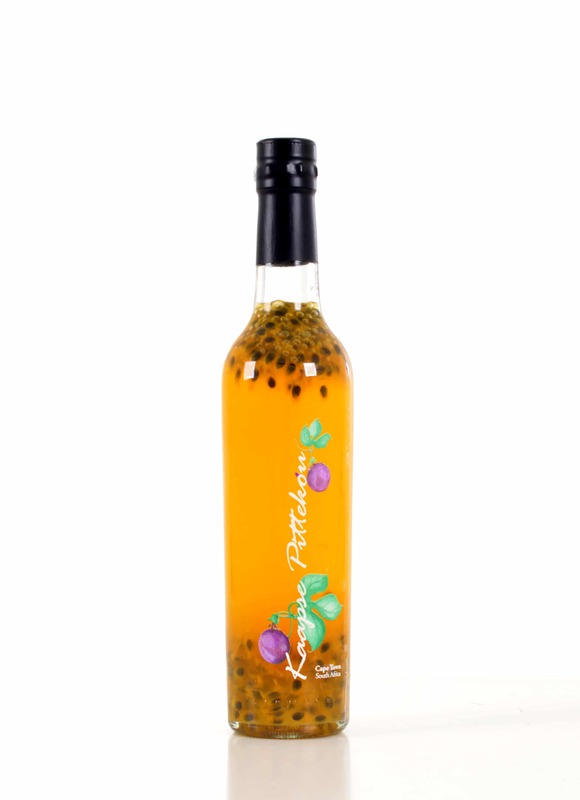 Kaapse Pittekou Liqueur is carefully hand-crafted using only pure granadilla pulp from the purple granadilla (passiflora edulis), giving it a distinctive fresh tartness. 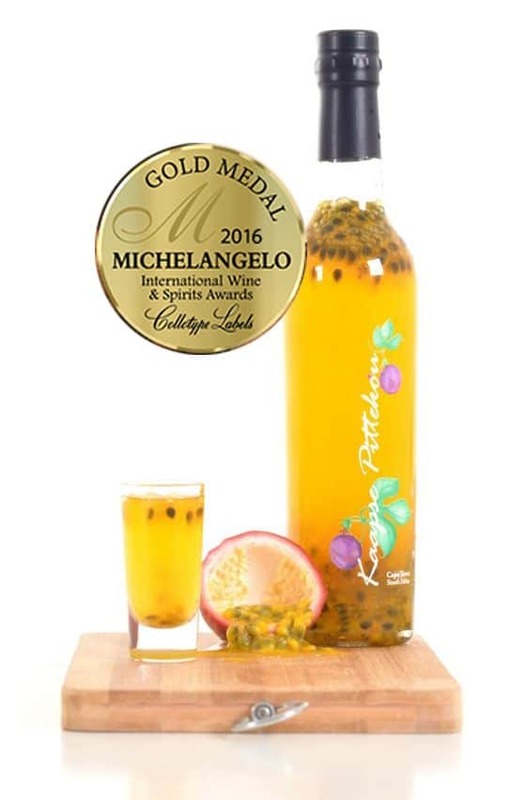 A 100% natural South African product, Kaapse Pittekou won a Gold Medal at the 2016 International Michelangelo Wine and Spirits Awards! 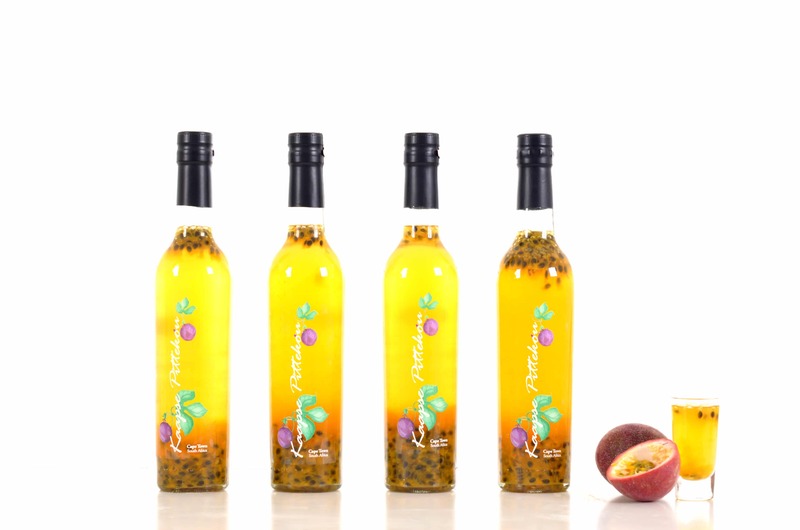 Created in 2013, Kaapse Pittekou was the first of our fruit liqueurs. “Pittekou” is Afrikaans for “chew the pips” which is literally what you need to do when sampling this delicious traditional liqueur. 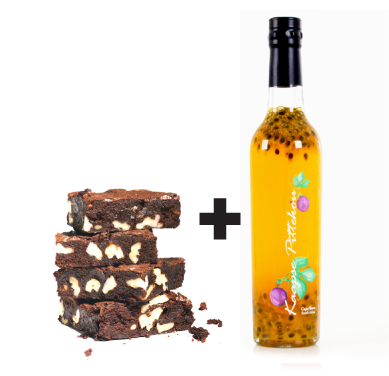 This is a true South African favourite! Dark purple and round or oval in shape, the purple granadilla has a soft juicy interior filled with seeds. 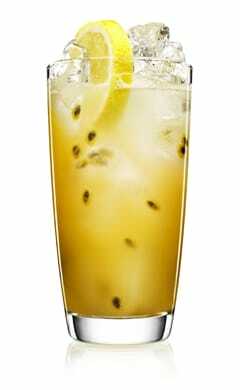 The juice of the passion fruit (another name for granadilla) has numerous healthy properties. It’s packed with antioxidants, beta carotene, potassium, vitamin C and fibre plus it’s the most exquisite colour and will make your taste buds flutter! The fruit is allowed to fully ripen, with the outer skin wrinkling and the natural sugar levels rising to enhance the flavour. 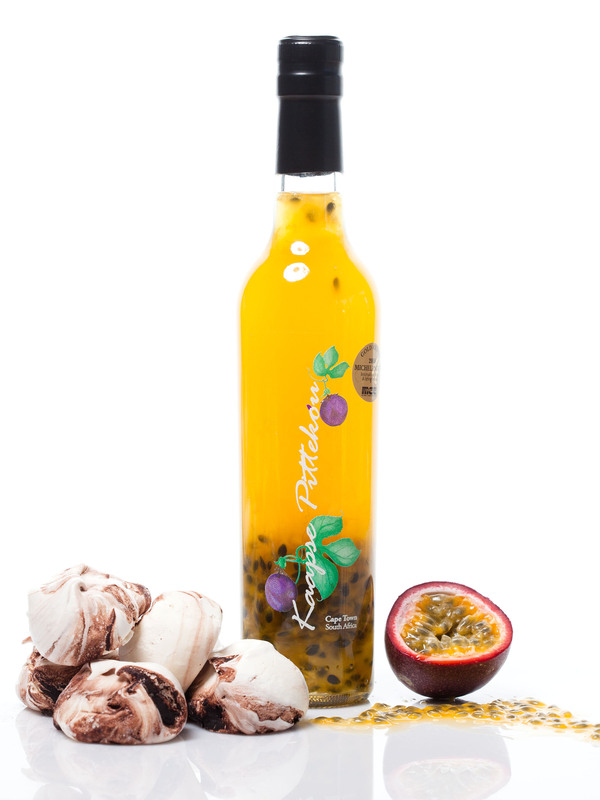 Kaapse Pittekou granadilla liqueur has a delightful tartness “from the fruit’s naturally high acidity” which is distinctive of granadillas and wonderfully refreshing to the palate. 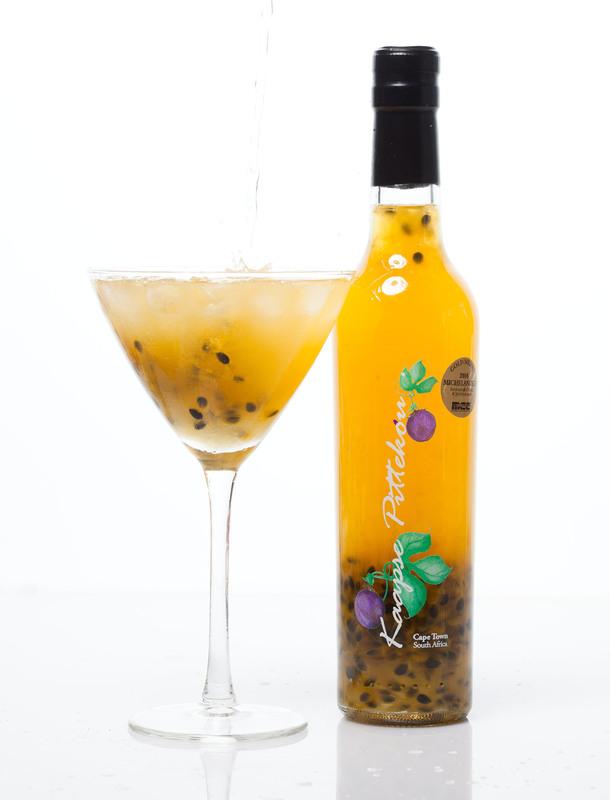 Kaapse Pittekou Liqueur is strong on natural-granadilla fruity tartness – a taste sensation not to be missed! It should definitely be served ice cold, on crushed ice or on the rocks. It’s also fabulous used in recipes for, or drizzled over, desserts, ice cream, tarts and chocolate or cheese cake. 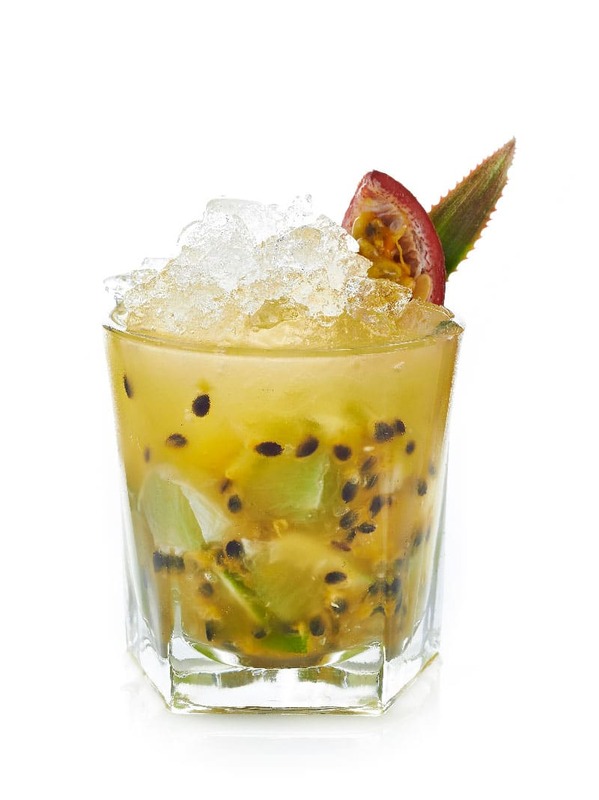 Not to mention all the exotically delicious cocktails which can be created with Kaapse Pittekou!